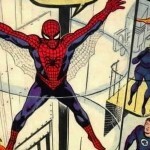 A History of Spider-Man Revealed! We recently featured on this blog an essential issue reading list for Spider-Man’s girlfriends (see the lists for Mary Jane, Gwen Stacy and Felicia Hardy, the Black Cat). All of those storylines contain an important issue in which Spider-Man’s identity is revealed. To complete that theme, here are some issues, listed chronologically, where Spider-Man revealed his identity, is unmasked or otherwise had his identity compromised. Peter sets up Flash to be revealed instead in Amazing Spider-Man #8. Peter’s alibi is that he was just dressing up as Spider-Man, as we seeSpider-Man revealed in Amazing Spider-Man #12. Norman Osborn learns of Spider-Man’s identity and reveals his own in Amazing Spider-Man #39. Unmasked at last! 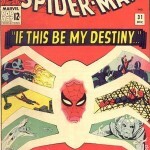 Thinking he lost his powers, Spider-Man revealed his identity to Gwen, Mary Jane, Harry and Gwen’s father. He gets the Prowler to dress up as Spider-Man and visit Peter with his friends after he regains his powers in Amazing Spider-Man #87. In his dying breaths, Captain Stacy, Gwen’s father, reveals to Spider-Man he knows he is Peter Parker (and to take care of Gwen) in Amazing Spider-Man #90. Peter Parker is Unmasked as Spider-Man and is caught on camera by Spencer Smythe’s Spider-Slayer in Amazing Spider-Man #106. Spider-Man then makes and shows them a latex Peter Parker mask to have them believe he was fooling them in Amazing Spider-Man #107. Although it was hinted beforehand that the Jackal knew of Spider-Man’s secret identity, it is only in Amazing Spider-Man #149, when Peter’s clone is first revealed, that we are truly sure. The Jackal “dies” with this secret after a crisis of conscience, saving Ned Leeds from his own trap. In Amazing Spider-Man #151, when Spider-Man dumps his clone’s body into the smokestack/incinerator, his spider-senses go off. It turns out to be someone snapping picture of him. Jonah has the pictures and confronts Peter about his secret identity in Amazing Spider-Man #169, but Peter convinces him they were doctored. Spider-Man revealed himself to the burglar who killed Uncle Ben after an intense confrontation in Amazing Spider-Man #200. Shortly thereafter, he burglar succumbs to a heart attack, taking the secret to his grave. Madame Web, using her telepathic abilities, aids Spider-Man on his adventure, but also reads his mind and reveals she knows his identity in Amazing Spider-Man #210. His secret is safe with her. Debra Whitman, then Peter’s girlfriend, has a history of mental instability, and starts to think that Peter is Spider-Man (in part due to seeing Spider-Man shortly after Peter disappears). Her psychiatrist asks Peter to wear a Spider-Man costume to have her realize the absurdity of her beliefs (if they only knew!) in Spectacular Spider-Man #74. 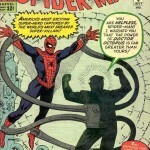 The plans works as Spider-Man unmasks himself as Peter Parker. Spider-Man decides to reveal his identity to his latest girlfriend, Felicia Hardy – The Black Cat. She freaks out, as she only wants to date “the Spider” Spectacular Spider-Man #87. She helps maintain his secret identity thereafter. Having met both Spider-Man and Peter Parker, Daredevil realizes that both have the same heartbeat, and puts two and two together in Spectacular Spider-Man #110. He also keeps this secret safe. In Amazing Spider-Man #248, Spider-Man reveals himself to a cancer-stricken boy who is his biggest fan in what is considered one of Spider-Man’s best stories. 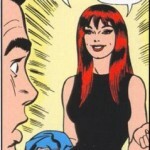 Mary Jane tells Peter she knows he’s Spider-Man in Amazing Spider-Man #257, stating it was the reason she initially left. In another of one of Spider-Man’s most acclaimed storylines, Kraven’s Last Hunt, Kraven the Hunter captures Spider-Man and buries him alive in Web of Spider-Man #31. He briefly dons the Spider-Man costume, then kills himself after having accomplished his final goal of beating Spider-Man. Having joined with the Symbiote, Eddie Brock becomes Venom, and with it gains the knowledge from the Symbiote of Spider-Man hidden identity in the classic Amazing Spider-Man #300. Awakening from her coma, Aunt May reveals to Peter that she knows he is Spider-Man in the touching, incredibly well told story brought to you by DeMatteis and Bagley in Amazing Spider-Man #400. This event is eventually retcon, as “Aunt May” is later revealed to be an actress playing the role, hired by Norman Osborn. This entry also might not count to some, but Ben Reilly was also caught unmasked during his run as Spider-Man, by none other than his love interest (and the Burglar’s daughter) Jessica Carradine, in Sensational Spider-Man #4. She keeps his secret. This event is eventually retconned, as “Aunt May” is later revealed to be an actress playing the role, hired by Norman Osborn. In Spider-Man Unlimited #12, the bones of a Spider-Man clone are scanned to reproduce the image of the victim, which is revealed to be Peter Parker. The results are dismissed, as Peter had been scanned prior to the bones, and every one believed the process to be a fraud. In another encounter with a telepath, this time Nate Grey, AKA X-Man, Peter’s mind is read and his secret identity is discovered in Amazing Spider-Man #420. He and Peter become friends, and his secret is kept safe. The Chameleon learns of Spider-Man’s identity after kidnapping him and having him believe he is someone else in Spectacular Spider-Man #242. 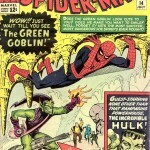 The Chameleon makes his way toward the Parker household, where he is beaten by Mary Jane herself in Spectacular Spider-Man #242. The Chameleon is then shot by Kraven’s son which once again ties up the loose ends of having villains know Spider-Man’s identity. 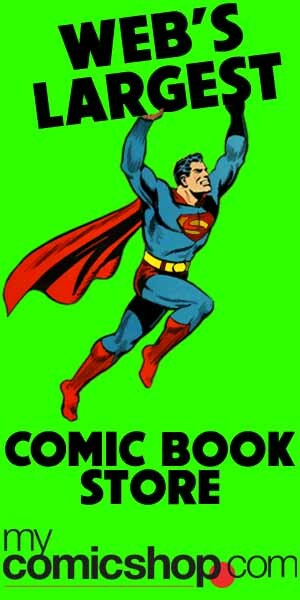 Although it appears after my Spider-Man Reading Order list ends (at the Final Chapter storyline), it’s still definitely worth mentioning. During the Civil War storyline, Spider-Man revealed his identity during a press conference in Civil War #2. For all Spider-Man revealed storylines, search “Revealed!” or “Unmasked” in our Spider-Man Reading Order. Hi! I’ve been reading your website for a while now and finally got the courage to go ahead and give you a shout out from Porter Texas! Just wanted to mention keep up the fantastic job! their are other times whent spiderman identity was discovered. Once betty brant pulled spiderman’s mask, when she was in abducted by a sect. Then peter goes to the place and the sect guru gives him back his mask.